Toyo Tires took the aggressive design and off-road capabilities of their classic Open Country M/T and combined it with the on-road manners and durability of their Open Country A/T and gave birth to the most versatile truck tire in the industry: the Open Country R/T. Toyo squeezed so much awesome into one set of tires it would take pages to describe all the benefits of, so here is the real important stuff. Every Open Country RT is constructed of high turn-up 3-ply polyester, which provides excellent durability, impact resistance and handling. With design influences from both the Open Country M/T and A/T, the Open Country Rugged Terrain provides the best of both worlds; on-road stability, quiet ride, extensive tread life, and superior off-road handling, stability and protection. 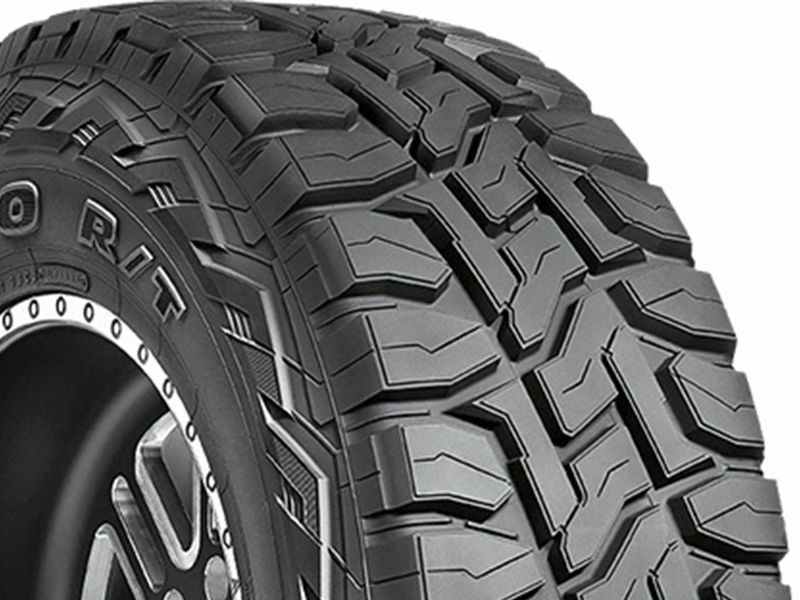 The tread design is complimented by equally aggressive scalloped shoulder blocks that extend over the shoulder to further improve off-road traction, enhance your vehicle's grip in deep mud, snow, sand and whatever else you decide to power through. The sidewall is also made with a durable compound coupled with aggressive tread to protect against side impacts while on the trail. If you are looking for an aggressive mud tire but do not want to sacrifice on-road stability and tread wear, the Open Country R/T is your answer. All Toyo Open Country R/T tires are backed by a manufacturer 45,000 mile limited warranty.